Happy 5th Birthday to Freedom Playground! 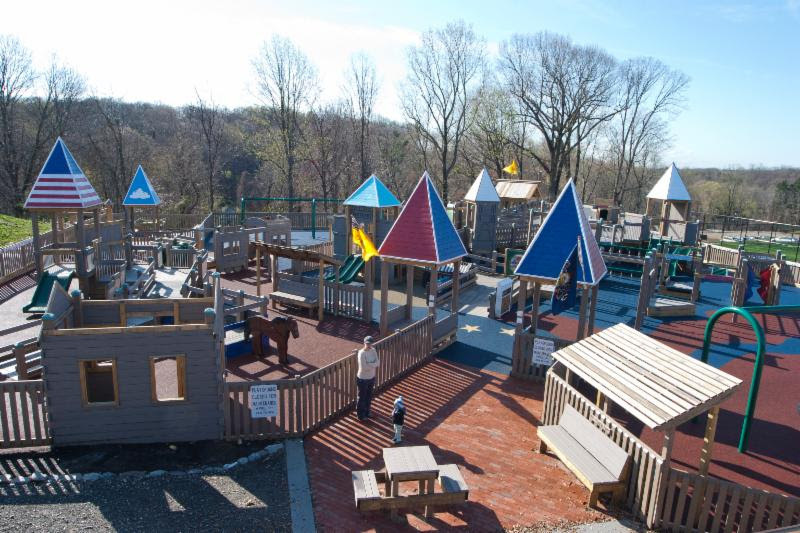 Now is the time to give some volunteer hours to help us maintain Freedom Playground! Join us on Saturday, October 24th from 10am-4 pm for Maintenance Day at Freedom Playground. We need your help to paint turrets, seal exposed wood, vacuum, light carpentry repairs and spruce up the sandbox area. Please go to the Sign-Up Genius link on www.HaverfordFreedomPlayground.org to volunteer for a two-hour shift. Celebrate 5 years of Freedom Playground with a Birthday Party! On October 25th from Noon-2 pm, we will have a 5 year birthday party to celebrate the May, 2010 Build Week. Over 2,000 people volunteered during the six days to build Freedom Playground. Over $350,000 was fundraised for the cost of the materials. Thanks to all who helped!!! Party is free! Engraved fence posts and paving bricks are still available and can be purchased during the party or download the form from our website www.HaverfordFreedomPlayground.org. Like us on Facebook to get updates on events like this. The Freedom Playground Committee is looking for additional members to attend three meetings a year to help manage the fundraising and maintenance issues; this includes new playground equipment purchase. Please contact Ann Phillips at ayphillips@verizon.net for more information.